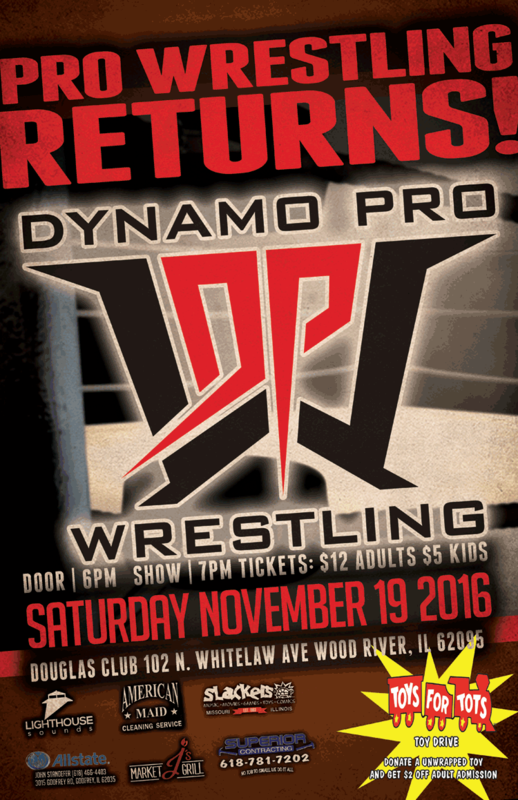 Dynamo Pro Wrestling is proud to announce an all ages, live, professional wrestling event on Saturday, November 19th, 2016. This professional wrestling event will be held at the Douglas Club, located at 102 Whitelaw Avenue in Wood River, Illinois. 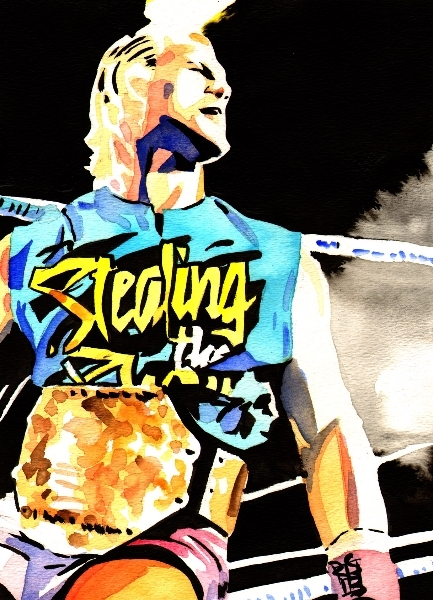 Doors open at 6:00 P.M. with a bell time of 7:00 P.M. Tickets are $12 for adults. Tickets for children from five to twelve years old are $5. Tickets for children under five years old are free. As a part of our Toys for Tots drive, any adult who donates a new, unwrapped toy at this event will receive $2 off of their admission price. This action-packed night of professional wrestling will feature some of the fastest rising stars in Dynamo Pro Wrestling. Please come out and experience the best in professional wrestling and help bring some holiday cheer as Dynamo Pro Wrestling makes its return to Wood River, Illinois. To purchase advance tickets, log on to http://www.dynamoprowrestling.com or contact the Douglas Club at (618) 254-2211. This entry was posted on November 6, 2016 at 4:32 pm	and is filed under Uncategorized. You can follow any responses to this entry through the RSS 2.0 feed. You can leave a response, or trackback from your own site.